On one of those days that the foodie and the locavore collide. It all started with sending my husband to the store to get oranges and grapeseed oil. Oranges to use with the CSA fennel for a salad. A neutral oil so I can bake butternut squash to make hummus. He comes home with figs, which he decided would be perfect in a pizza. 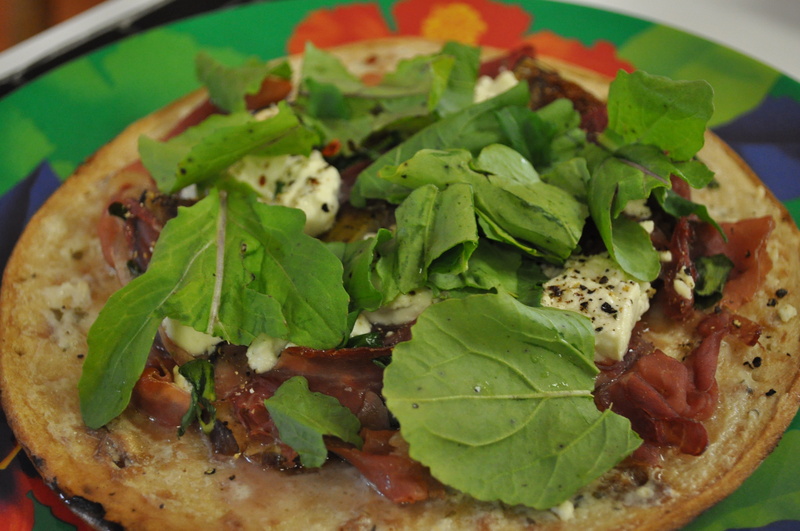 The first fig, prosciutto, arugula and goat cheese pizza we ever had was in Napa Valley about five years ago. We have been attempting to duplicate it since then. This time I went with grilling them. Served with a local wine, using local goat cheese, arugula, scallions and garlic, I got a decent crispy thin pizza. 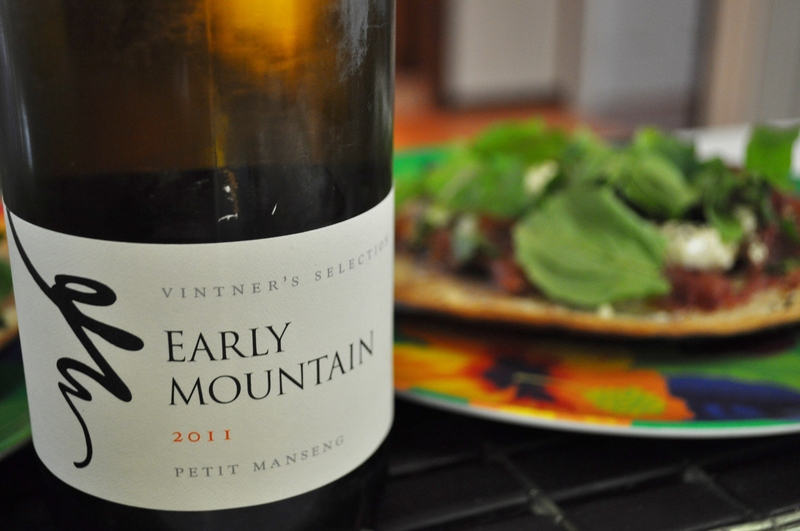 Early Mountain 2011 Petit Manseng, a very crisp version of a lesser grown grape. Early Mountain is north of Charlottesville VA. A fairly new winery that we visited on our weekend trip. We picked up a mix of their current wines. A young winery, under this ownership, we expect to see real growth in their offerings as their vines mature. This dinner was really simple to put together. Spread some garlic and oil on crust from COSTCO. Add a few figs, some goat cheese, some prosciutto, some scallions. Drizzle some lemon infused olive oil over it. Put it on a screaming hot grill for a few minutes (500 degrees). Turn off the end burners (or use indirect placement over charcoal). Let it crisp up, and let the cheese melt. Some pepper ground over it. Arugula put on after removal from the grill. Excellent meal on a very pleasant evening. We took it outside on the patio to enjoy the view. 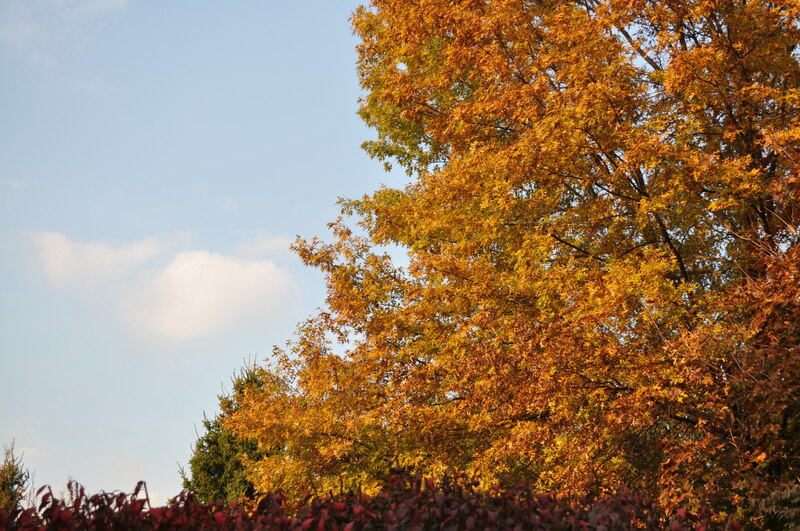 Leaves are getting close to peak around here. Posted in CSA, Food, Locavore, Weather, Wine and tagged cooking, CSA, fall foliage, Food, foodie, grilling, Locavore, VA wine, weather, wine. Bookmark the permalink. Last Summer I had one of these pizzas in the Big Sur area of California. Pizzas in California are so different from the New York style we commonly have here. One thing that they did to the pizza I had was to drizzle some really good balsamic vinegar on the pizza. Speaking of balsamic vinegars I am blogging on my favorite one again this Saturday. I love a really good balsamic. We get some of our best from St. Helena Olive Oil Co. in Napa. I buy a half gallon of California olive oil, half gallon of lemon infused oil, half gallon of balsamic, half gallon of grapeseed oil. All so fresh, so intense. I put the balsamic on so many things, and since we get it by the half gallon, I have enough there to be able to heat it until it reduces to an awesome glaze. I agree about the pizzas. Very different, and with almost all fresh ingredients on them. 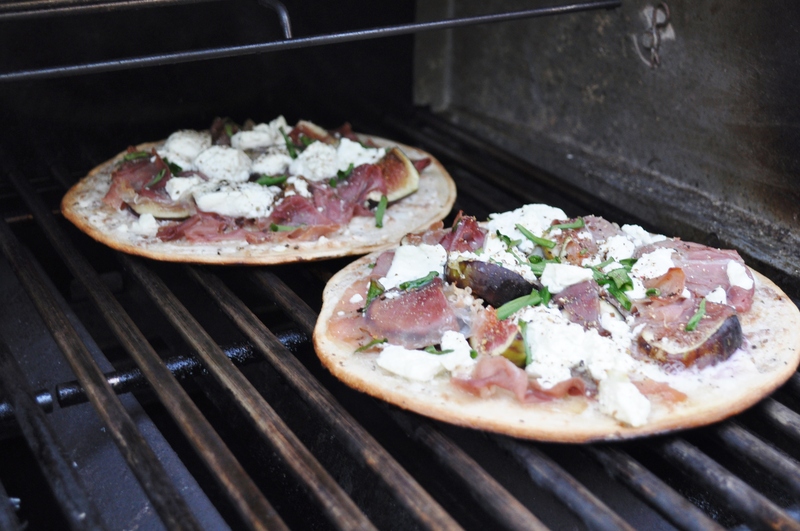 I haven’t grilled pizza before – think I must give it a try.